The first phase involved the candidates answering in depth two questions (briefly “What is the biggest challenge facing the program?” and “What’s the biggest mistake the program has made in the last three years?”). Those answers were anonymized (including a little light editing to remove obvious identifiers) before being presented to the panel. The panel then scored both questions, and proposed individual followups for each candidate. When the scores were tallied, two applications were head and shoulders above the rest and moved on to the next round, where they were given a set of the individual questions proposed for them. Now knowing the identities of the remaining two, the panel assessed the written responses to those questions. Mentoring mostly happens at tournaments. It can be argued that the amount of existing online resources should be enough to ensure knowledge transmission but the reality is that most judges dedicate time to learning and improving during events. I think the reason is they are already committed to Magic at these moments, while at other time they have non-Magic life commitments which would take over their will to read an online article for instance. As a result, mentoring mostly happens when judges have gathered, creating a melting pot enhancing knowledge transmission and personal development. Of course, most judge gatherings happen during tournaments — part of the rest happening at conferences and mini-conferences, the latter being a potential axis of further development. That’s why tournaments are an, if not the most, important part of the mentoring that’s happening. Online resources can be seen as a tool, but not a means to achieve mentoring. I don’t think I need to highlight Kevin’s other accomplishments. He’s been a leading figure in the program for some time now and has recently been doing great work with the Grand Prix Head Judge group. I’m looking forward to Kevin working with the various project leads to bring his vision for the program to life. I’ll close by letting him talk about his plans as a Program Coordinator. Congratulations, Kevin! The Judge Program has been instrumental in crafting me as an individual — There is only another person who could claim with reason she was just as instrumental. Yes, another person. “The Judge Program” isn’t really a system to me: It’s a melting pot of individuals who were incredibly patient and trustful, allowing me to develop in a better person. I believe the Judge Program achieves what most schools or universities don’t: Making individuals grow by allowing them to understand global concepts. Every peer can teach you something, have a global impact on you as an individual, provided you’re willing to listen to it and to act on it. Yes, peers teaching each other is the fertile ground the Judge Program grew over: I don’t think the Mentoring system we have can be matched anywhere else. It’s critical it is protected and crucial we keep improving it. Meanwhile, the world evolves. Some things which were taken for granted are no longer true. Nevertheless, just like with most major society topics, it is everybody’s responsibility to craft the world we want to live in. 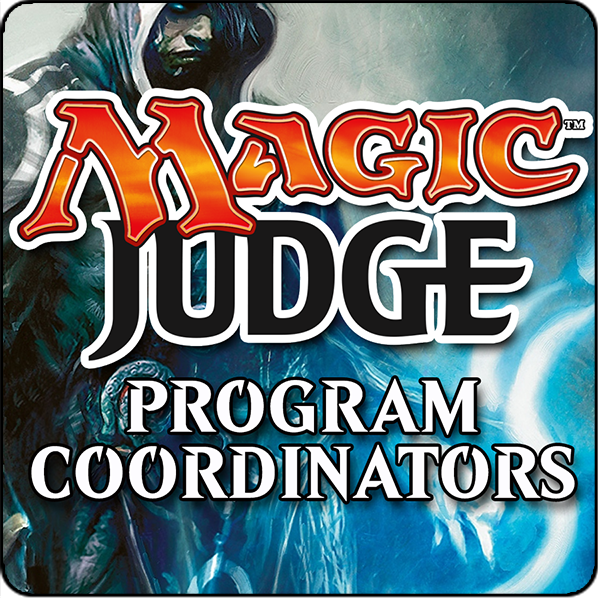 This summarizes why I applied to become a Program Coordinator: Taking into account the evolution of Magic and make the Judge Program fit optimally into it. I believe we have to chance to belong to an organization where the individuals are the primary ones making a difference: We simply need to make conscious choices to take the best out of the restraints we’re facing, something that we cannot do unless we fully understand the said restraints.